Timis County is getting ready for the folklore celebration during March 16th to April 7th, 2019, every weekend from the Timis County “dowry chest” will be brought to the public attention: old traditional dances and songs, traditional gastronomy, Banat Region dialect, old traditional costumes collections and ancient everyday use objects but also crafts (wood carving, glass paintings, wood - bindings, traditional sewing, pottery). More than 1500 artists, over 50 artistic groups and hundreds of traditional Romanian gourmet dishes will compete this year in the two categories: "Laureates" and "Timis County Legacy". The competition takes place in 7 zonal centers as it follows: “Timis County Legacy” Category: Dudestii Vechi on March, 16th, Peciu Nou on March 17th, Varias on March 23th, Tomesti on March 24th, Nitchidorf on March 30 and “Laureates” Category: Deta on March, 31st and Sannicolau Mare on April 7th. We invite you to rediscover the flavor of ancient Banat Region on Saturday, March 16th, 2019, at 14:00 hour at Dudeştii Vechi, a village from Timis County at 77 km from Timișoara. Discover multiethnic gastronomic dishes such as: ”strudl” pastry, ”baigli” German sweet bread, pigeon meat paprika, marmalade corn bread, “păturată pră crumpi” - “potatoes beddings”, Bulgarian pita, all sorts of traditional sweet breads and many other surprises. 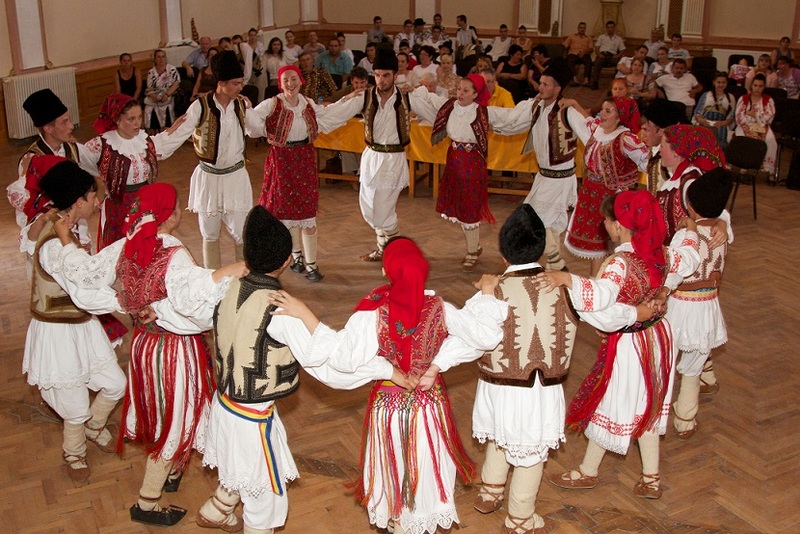 Here you may find over 3 hours of folklore performances of traditional Romanian dances from Comlosu Mare, “hora” dance and traditional dances from Banat Plain Region but also “doina” songs that reveal unspoiled the Banat Region spirit. From Jimbolia city there will be an artistic program in which you may find the multiethnic Banat Region: “Floris” Choir, “Mini Hatzfelder” German Dance Group and “Hatzfelder Pipatsche” German Dance Group and „Delibab” Hungarian Dance Ensemble. The Bulgarian community from Dudeştii Vechi village has prepared some surprises: Bulgarian dances, beautiful decorated traditional costumes, specific to Banat Region Bulgarians, traditional Bulgarian "pita", made after recipes preserved with respect from generation to generation, croissants and sweet bread with walnut, poppy seeds and cheese, an exhibition of Bulgarian gold threads costumes over 100 years old. You may taste some Romanian Banat Region traditional dishes like: bread pastry, pita, corn bread, Fasting “sarmale” (vegetable stuffed cabbage), traditional pasta dough stuffed with cheese. We invite you on Sunday, March 17th at 14:00 hour to discover how it used to perform “Caluseul” traditional men dance from Jebel, Romanian traditional dances from Livezile Village, “Sezatoarea” traditional custom from Voiteg Village, old traditional Romanian costumes from Alios Village, traditional Romanian dances from Peciu Nou, Serbian traditional dances from Dinias and Sanmartinu Sarbesc Villages but also we invite you to traditional gastronomy exhibitions with dishes from the old recipes book of our grandparents and to moments of Banat Region dialect that encapsulates the times of a unique Banat Region. There is free entrance to all the events. This competition is financed by Timis County Council and it is organized by The Center for Culture and Arts from Timis County, the director of the festival is Ms. Liliana Laichici.All the details regarding the festival you may find at: www.ccajt.ro.